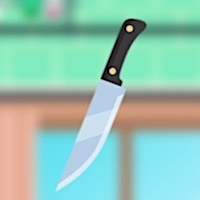 FLIP THE KNIFE | Free Mobile Games on Funky Potato! You have to flip the knife so that it thrusts perfectly. Just click and drag the knife. Lots of fun!